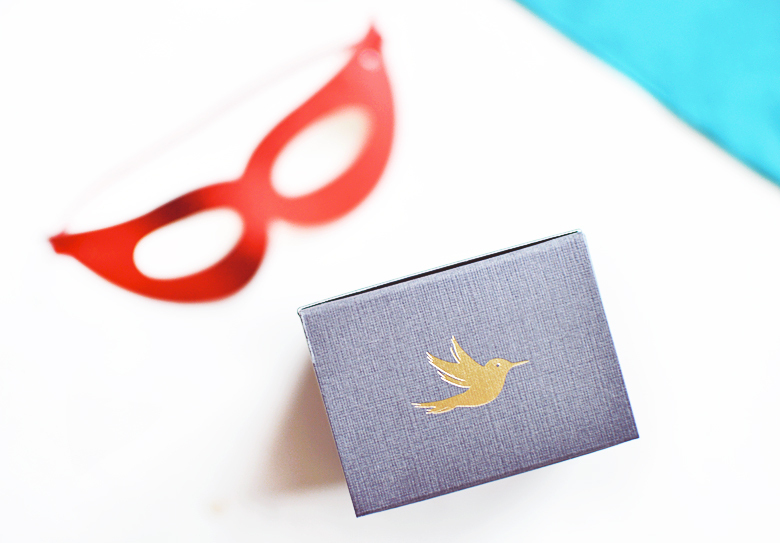 The Osmia Organics Beauty Heroes Box. If you've been reading my blog for a long, long time (I'm talking early 2014) well, firstly, you deserve a medal for sticking with me for so long, and secondly, you may remember I once spent a small fortune importing some Osmia Organics skincare over from the US to treat my dermatitis. I loved the products I bought so much that I regularly mentioned them on the blog and wrote a full review (here) for the Black Clay Facial Soap. I never repurchased or ordered from Osmia again though as high shipping costs and the £18 customs charge I received was just too expensive overall to justify buying some soap and toner again. 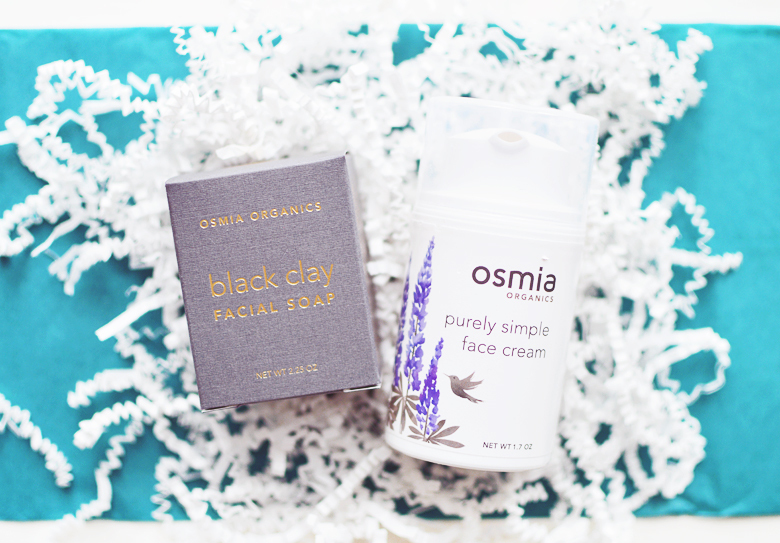 So, you can imagine my joy when the January Beauty Heroes box was revealed as Osmia Organics, and included was my long lost love the Black Clay Facial Soap! I couldn't wait to receive my box this week, and even though it still travelled all the way from America there weren't any custom charges in sight, hallelujah! The January box contains over $96 worth of skin treats, including a sample of a yet-to-be-released serum, a full size Purely Simple Face Cream ($60), full size Black Clay Facial Soap ($24) and a cute soap saver ($12). As usual the box costs $39 and this works out for us in the UK at about £35 per box (this price includes shipping), give or take a little here or there with the exchange rate. Once again this is an incredible value box as I paid over double that all together (damn you customs!) with my first Osmia order. 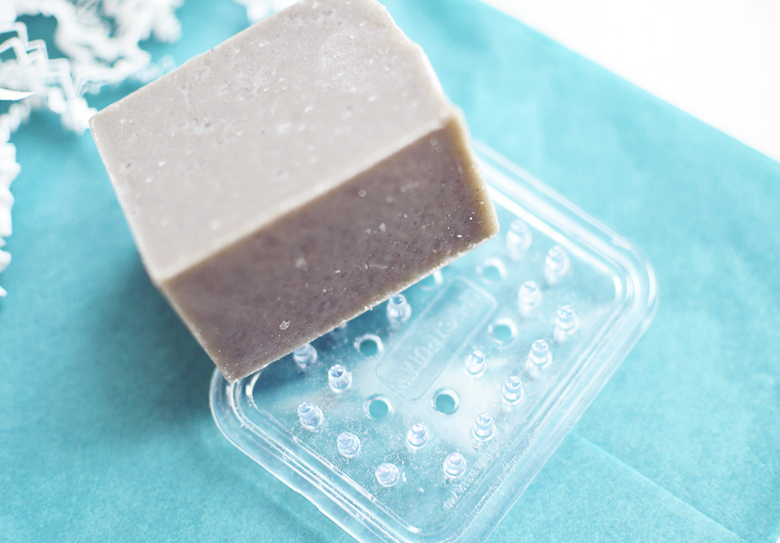 The Black Clay Facial soap is not like any ordinary bar soap, it doesn't leave skin feeling stripped or dry and instead soothes and purifies the complexion with coconut milk, avocado oil and dead sea mud, to name just a few. I was sceptical that a bar of soap could help my perioral dermatitis but it really does, whenever I had a flare up I would reach for this to work its magic and find the problem calming right down, often disappearing fully within 2-3 days. 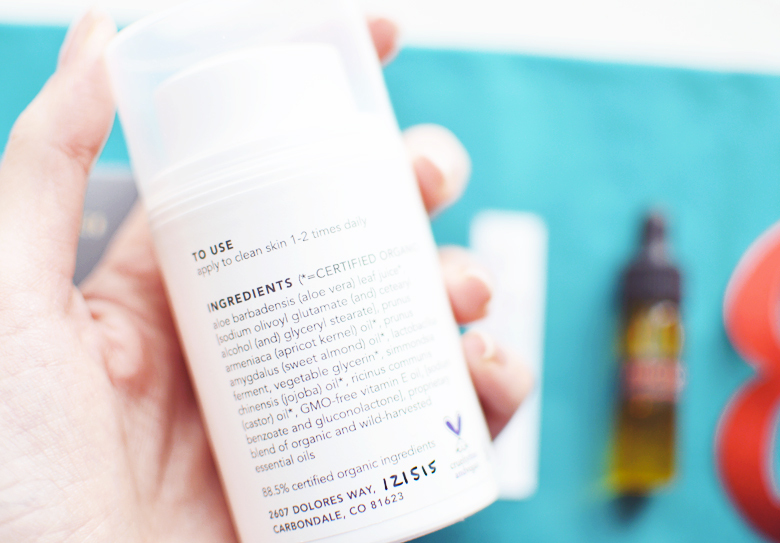 I am SO HAPPY to have this back in my skincare stash once again. Paired with the perfect little soap saver it should last me at least 4 months, if not longer as I won't be using it every day. If you suffer from PD you'll know it's a terrible beast to tame, it looks like it's gone but then you apply your makeup and oh look at all that flaky skin around your mouth and nose, that's not a good look. Hydration is key for healing, but overwhelming the area with thick butters and greasy oils to try and moisturise won't do a damn thing. Aloe vera is your best friend here and whilst the Active Gel Toner from Osmia was more specified for PD, I'm really excited to give the Purely Simple Face Cream ago with its main ingredient being, of course, aloe vera. The Purely Simple Face Cream is a no-frills, no-fuss moisturiser to provide light, non-greasy, non-pore clogging hydration to skin both morning and night. It's exactly what the doctor ordered (Oh, and did I mention the founder and creator of Osmia, Sarah Villafranco IS a Doctor? She knows her stuff). 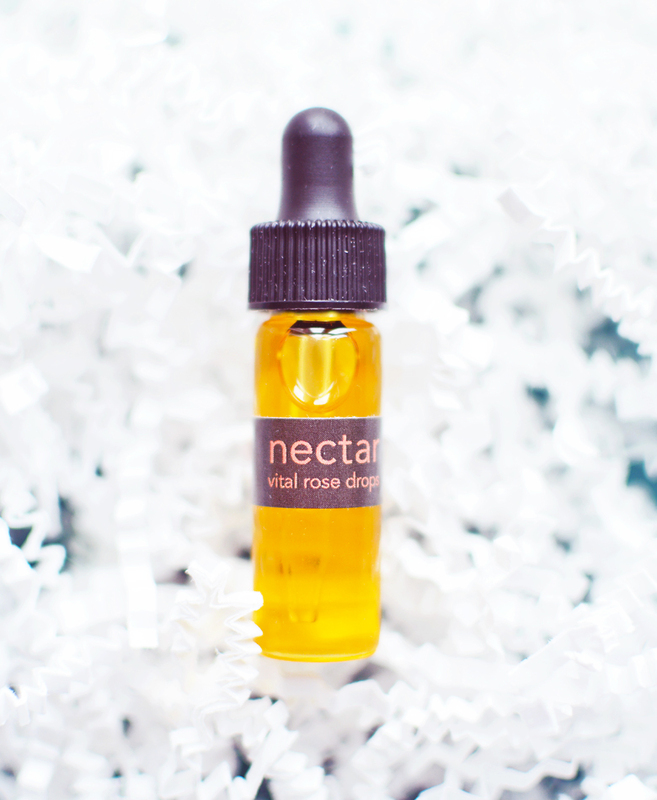 And then we have the Nectar Vital Rose Drops Facial oil/serum. There weren't any ingredients provided for this, so I'm not sure exactly what's in it but it smells a little like rosehip and I'm assuming there's some rose essential oil in there too! I applied a couple of drops to the back of my hand and it had a great silky, emollient feel, very nourishing and the perfect little boost for winter weather. Sarah suggests adding a drop or two of this to the Purely Simple Face Cream for the ultimate skin treat, I can't wait. Are you subscribed to Beauty Heroes? What do you think of this months box? If you aren't subscribed there are limited numbers available and they always sell out before the cut-off date, so if you want some Osmia in your life, act fast! You can also let them know if you're vegan and they will automatically never send or charge you for a box that isn't suitable, handy! 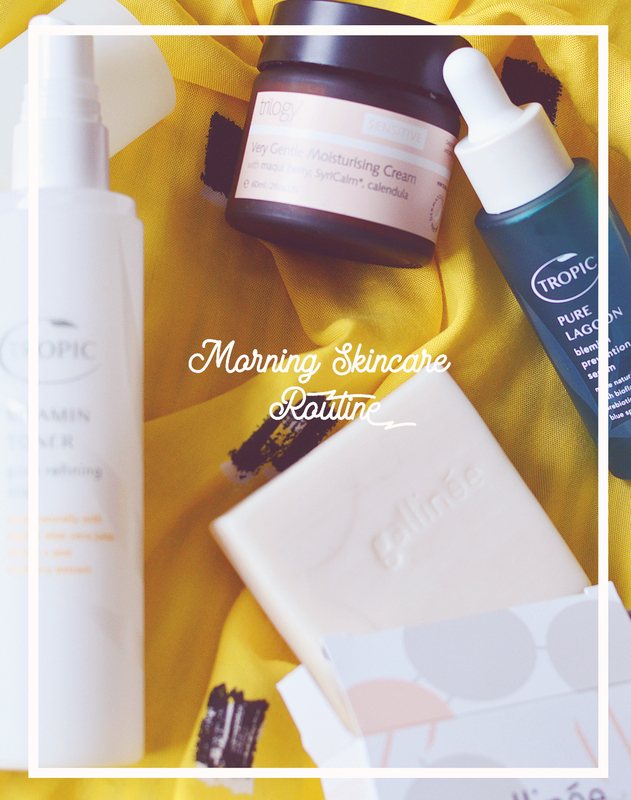 This is definitely one of the best beauty subscription boxes out there today.